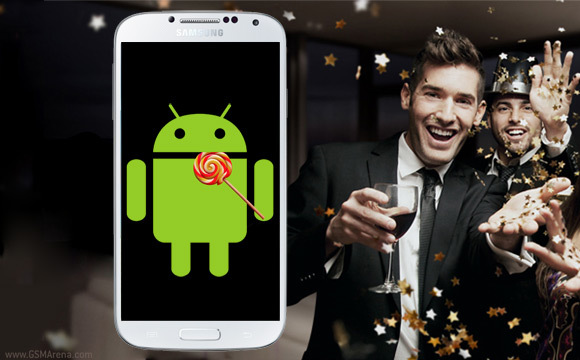 Samsung has already updated the GPE model and the I9506 Galaxy S4 with Android 5 Lollipop. It recently begun seeding Lollipop to the Exynos-based I9500 Galaxy S4 flavor in Russia, too. As promised, the I9500 is the next major Samsung Galaxy S4 model to get the latest Android version. The second market to get the Lollipop treatment is India. The update is now available there over the air and weighs about 990MB. This means you must have at least 3GB free space before updating. Naturally, if your Samsung Galaxy S4 model is locked to a specific carrier it may took some extra time before the Lollipop updates reaches you because of the additional testing required. The Snapdragon 600-running I9505 Galaxy S4 will be next to taste Lollipop. The update is already in testing and should begin rolling out very soon. Thank you, Sameer Khan, for the tip! I need update of 6.0 in s4. Yes, I received it too today. Can someone list the fixes done in this update to Galaxy S4.